Balboa's Slimline Flush Series offers fittings for whirlpool baths that sit almost flush to the bath wall. The metal escutcheons sit to the bath wall to cradle the jet fronts and or suction cover. 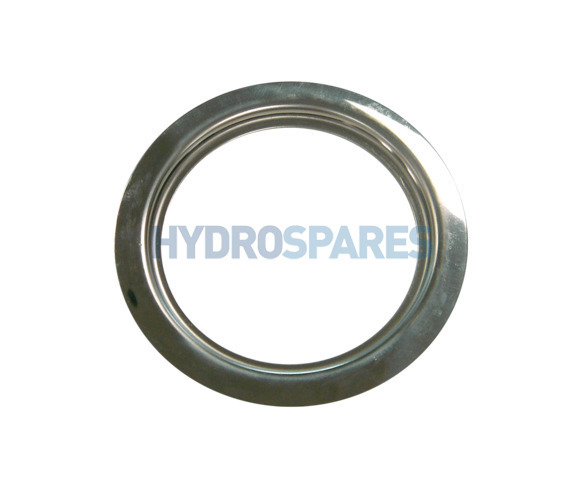 This is the Large escutcheon for the suction cover and Slimline Flush Large Trans-Adjustable Jet.